Golf has been around ever since man started hitting things with clubs, which is to say, basically all of human history. But there are other variants of the basic idea of golf, which is to launch an object at a far away target in as few shots as possible. One of these is Frisbee golf. 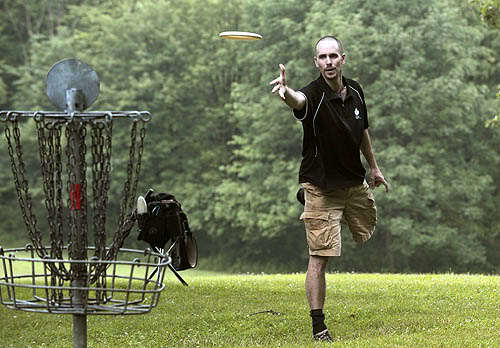 In Frisbee golf, players tee off (though you don’t use a tee when throwing a Frisbee) toward a weird cage-like “hole”, over a distance that’s a bit shorter than a golf hole. There’s no fairway per se, though often there’s an area with fewer trees you’re supposed to stick to. Players use up to five different types of Frisbees, referred to as “drivers”, “irons” or “putters” depending on what kind of distance you need to throw them over. Bad lies aren’t as much of an issue since you’re allowed to pick up the Frisbee, though you have to keep at least one foot on the same spot where the Frisbee landed. Frisbee golf has a large following among aging hippies, which perhaps comes from the fact that regular golf is so straight laced that those among the population more inclined to peace, love, and illicit substances are reflexively excluded from any normal golf course. But they’re always welcome at their neighborhood Frisbee golf course. 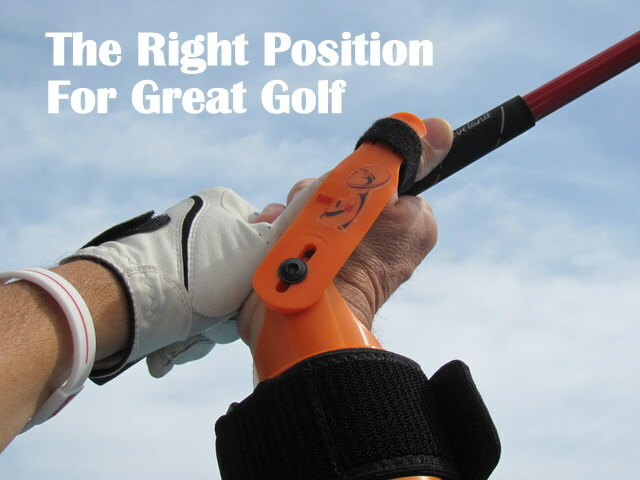 It’s ultimately a different game than regular golf, but with many of the key elements that make golf so fun. While all your practice with distance and accuracy in regular golf is hardly likely to mean anything when you’re throwing a disk around, some of the mental game does carry over. And it’s always a pleasant way to spend an afternoon. Best of all, you can’t slice! This entry was posted in Other and tagged commentary, Frisbee golf, Golf-Based Games, other sports. Bookmark the permalink.